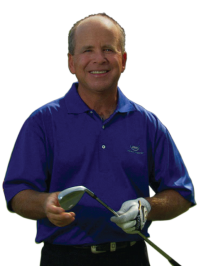 "Perfect Impact is the key to hitting the ball farther, straighter and closer to the hole. By using the Impact Master, you will gain muscle memory, learn balance and the feel of proper impact position for all your clubs from practice time to game time." The Impact Master wedge was designed by Clay Long, personal Club Designer for Jack Nicklaus. The Impact Master wedge has all the design features demanded by great wedge players of our time. The extension, used for training, is designed to optimize club weighting both during play and training to provide the same feel and feedback experienced during training and actual golf play. Sets your hands and arms in the proper position for a descending strike. The descending blow lets the club get the ball in the air. The descending strike puts spin on the ball. Consistent loft at Impact creates consistent distance control. The Impact Master is not only a quality wedge, but a training aid unlike so many in that, we encourage you to actually hit real golf balls under real course conditions and obtain instant feedback as a result from using the Impact Master. So many training aids do not allow for this, and in our minds is equivalent to shooting a basketball with an imaginary ball, playing keys without a piano or swinging a baseball bat in thin air. The result is a boring training experience that quickly loses a golfer’s interest far before the benefits of muscle memory and balance can ever take affect in training a golfer’s body to perform naturally for proper ball-striking. Plus, without instant feedback, how do you really know if you are using any training aid properly and are receiving the intended effect versus learning new bad habits? To learn proper ball-striking, it is imperative that contact with the golf ball and clubface at the moment of Impact is consistent. These three things are affected each time the club face and the ball collide. A golfer’s only true feedback is the flight of the ball. Without that, it is the difference between knowing what you did right every time versus making contact by accident every fifth or sixth try.